[Ciel Devlog #28] Ciel’s Voice in Action and Upcoming Battles! Hi. wltr3565 here. We still have a lot of content to implement before the game can be considered as gold, but we’re working hard to make sure the game can be released on time as clean and complete as possible! While at it, let’s take a look of some Battles that you and your child have to tackle when doing Activities and Jobs! Dancing is about feeling the rhythm. When you Execute Sets according to the rhythm, you will get a Score boost. The Rhythm Bonus will appear in later Activities and Jobs, so you will want to master the rhythm as soon as you can. We have made the game to have multiple enemies in some Battles now. To be able to survive the onslaught it’s best to read their movements and react accordingly. Hit them before they hit you! There will be more tricky and difficult stuff that she and you have to face as both of you progress, so look forward to them! The road for her to achieve her dream won’t be an easy one. Also, have a preview of Ciel’s voice in action! Last but not least, we’re going to have a booth in Game Prime 2018! 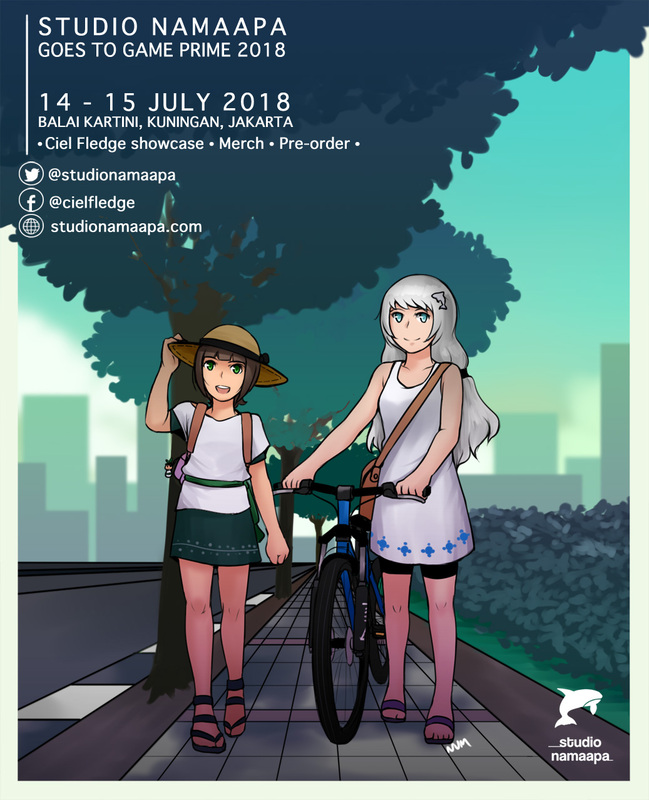 You can try the latest demo build of Ciel Fledge and buy some limited merchandise exclusive only at this event! The event is at Balai Kartini, Kuningan, Jakarta, Indonesia. We will be there on July 14th and 15th! For more info, you can visit our Facebook or Twitter. That’s all for now. See you at the event!